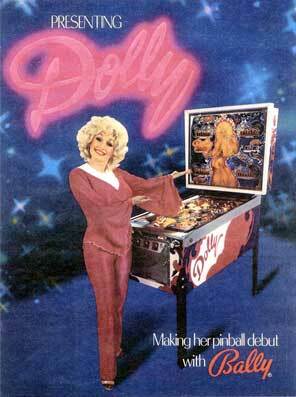 Check out these Dolly Parton pinball machines for sale released by Bally in 1978. You will also find parts and accessories including the rubber ring kits, vintage ad flyer, decals, bumper cap set, tune-up kits, manuals, translites, flyers, and sling shots. The licensing was difficult on this highly collectible machine because Dolly kept changing her mind about how she should be portrayed on the backglass due to her crossover status from traditional country to mainstream pop in the late 1970s.